Goals: Modernise the website with a mobile optimised, responsive design. Build a solid foundation for increased marketing activities. eCommerce Consultation, eCommerce Website, Magento Development, Magento Hosting, SEO Setup, Digital Marketing, Magento 2 Development. 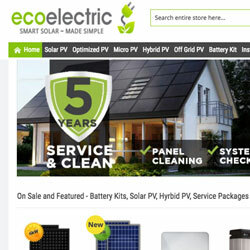 Ecoelectric is an Australian based electrical contracting business specialising in the sales and installation of solar systems and emerging battery technology. The client spotted an opportunity to increase its sales of components and systems though an online store. Curata rebuilt the store using Magento 2 as the eCommerce platform. (The previous site was built on Magento 1.) 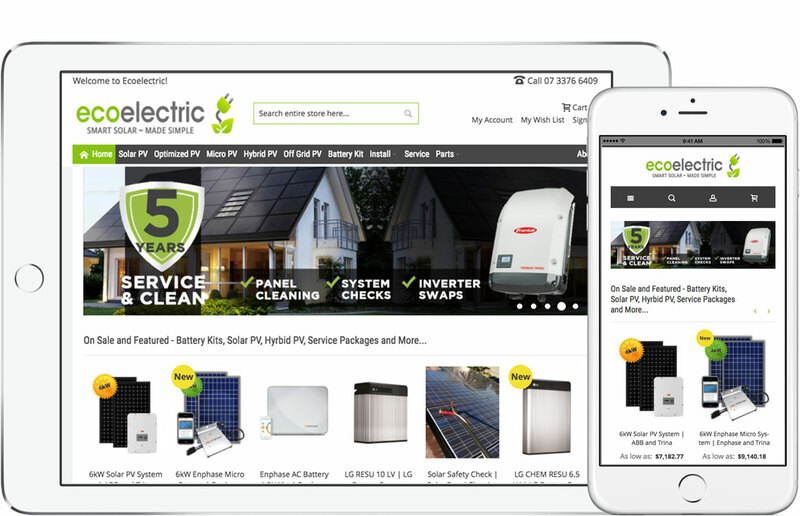 The site is mobile optimised and utilises Magento’s core bundled product functionality to allow complex configuration options for whole systems.